Trinity Christian School » Sunshine! The sun has finally appeared, greeting students as they arrive back from Spring Break. The outdoor campus has awakened from its winter slumber, with spring sports underway and the football field looking healthy and green. Indoors, the staff and students excitedly welcome potential students to Trinity Christian School for Campus Visit Days, while gearing up for some of our more popular community events: the TCS Band Character Breakfast and Grandparents/Grand-friends Day. Meanwhile, high school students are making last minute plans for the upcoming Spring Formal. A new fundraiser, ENDURE2013, has been added to our calendar and the Trinity Annual Auction committee is making preparations for a 2 day auction event this fall that is sure to be memorable. All these activities have one thing in common: our families and supporters. Trinity parents and friends consistently volunteer their time and talents. They enthusiastically cheer for our students at games and meets. 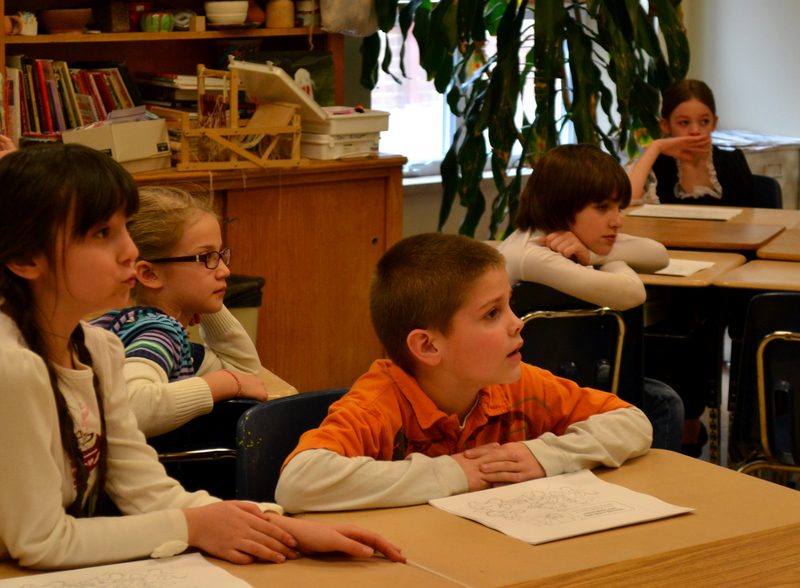 They join committees, visit classrooms, and lend encouragement. They share their lives. Thank you for the behind-the-scenes hours, the prayers, the commitment, the creativity, and the sacrifice. Trinity Christian School students are blessed beyond measure to have such a dedicated school community. 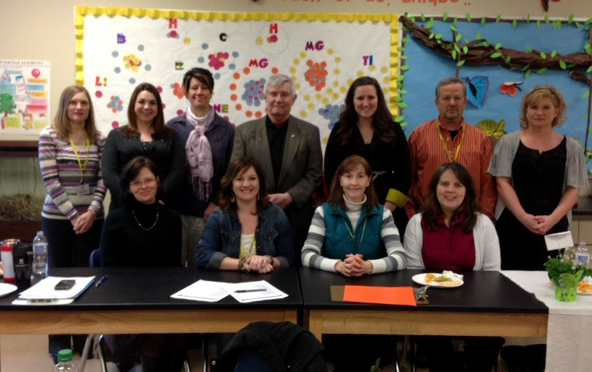 A wonderful group volunteered their time to assist with judging at the Science Fair. 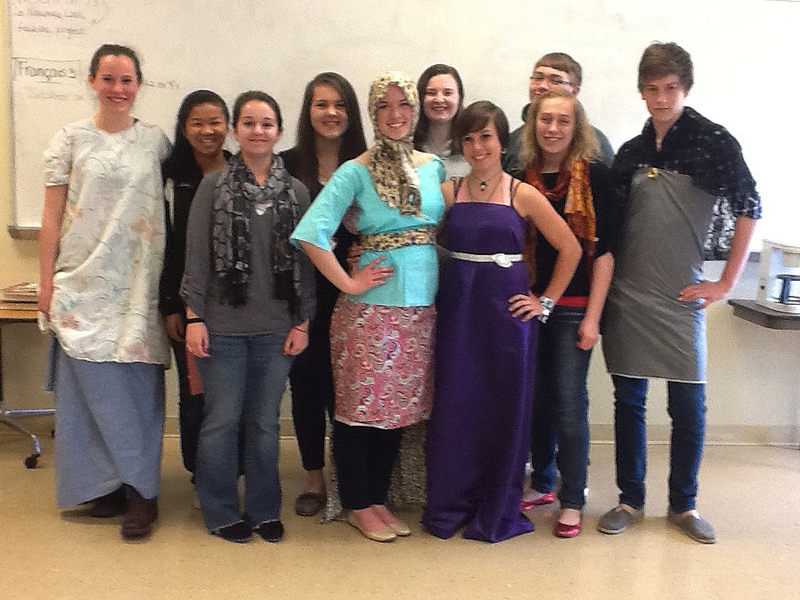 French I students model the outfits they designed and created after studying the characteristics and history of Art Nouveau as it applies to French fashion design. Using their French vocabulary, they presented and described their creations during a runway show. Middle school track students enjoy the sunshine, hoping it will bring warmer temperatures for future practices. 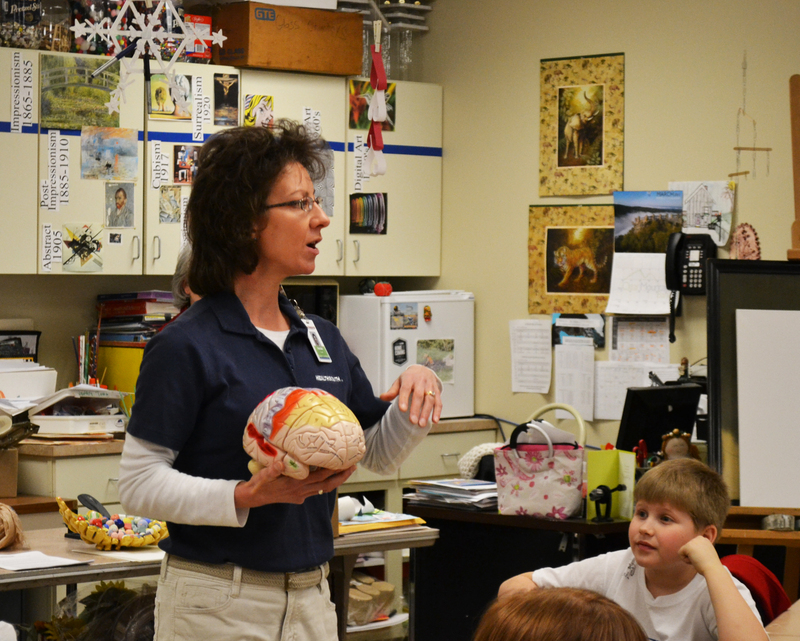 Employees from HealthSouth paid a visit to the third grade class to thank the students, who created health and safety posters for the rehabilitation hospital. The students were presented with water bottles and given tips on bike safety and home fire awareness.